You leave your footprints wherever you go. Sharing your experience makes good conversation. There’s no better reference than your own. 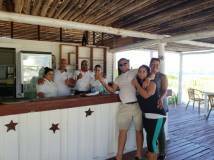 Help others by sharing the experiences of your stay at Meliá Cayo Guillermo. Disfrutamos casi el mayor tiempo del ranchon de la playa, el lugar ez hermoso pero sobresale el buen trato, el respeto y la profesionalidad de todos los trabajadores especialmente de kiki el cocinero y todos sus compañeros y también los muchachos del lobby bar. Recomiendo este Hotel 100% tanto a cubanos como a extranjeros. Aqui te harán sentir muy bien. The buffet reopened tonight after being closed for reservation and it is amazing, fresh and very appealing. 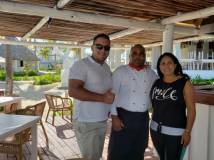 There was plenty of choice of fish,meat,salad and desserts(carlos pancakes are amazing as usual), excellent service by Liani and mylina ( i just miss my cuban sister from the buffet Erosmiedes and hope for her return before we leave). Well done to all involved in the current improvements to this charming hotal and may you all be rewarded for your hard work.we are here for 3 weeks and find the ongoing work does not intrude on our holiday in any way . La estancia de una semana en el hotel ha sido buena la Atencion por parte del director del hotel estupenda pendiente de todo muy amable y simpático. Las playas totalmente vírgenes es un paraíso.